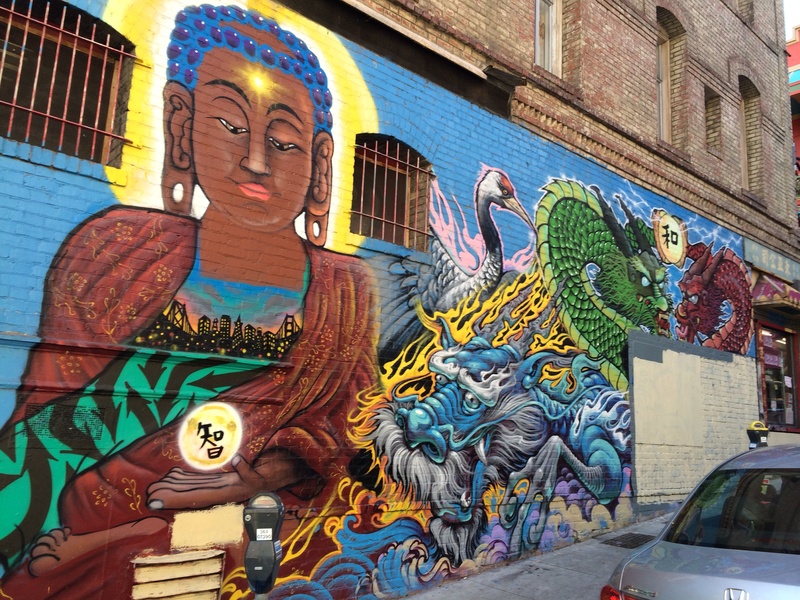 The Buddha & The Dragon mural on the wall of Eastern Bakery in San Francisco. I believe in mystery. Describing cultural magic is tricky. But like you, I know it when I see it or learn of its presence. As in my mom telling me about the wedding reception in Hollywood she served at Chasen’s for Humphrey Bogart and Lauren Bacall (yes, missing her I now cry a little inside every time I see them on TCM…). Street food in Hanoi. Sigmund Freud’s house in Vienna. Washington Square in Greenwich Village. Tanglewood. Cherry blossoms in Kyoto. Schoenberg’s living room in Los Angeles. Everything in Paris. Tea in Taipei. Visiting Elliott Carter at his apartment on W. 12th St. in the Village. Big Sur. The Star Ferry in Hong Kong. Diego Rivera murals in Mexico City. And the energy of a bookstore and its neighborhood in Chinatown and North Beach in San Francisco. City Lights. Vesuvio Bar and Caffe Trieste. Eastern Bakery. The Buddha Bar. The Pacific Ocean touching Big Sur. A few weeks before he passed away, Toru Takemitsu wrote postcards to his friends with a poignant message concerning his approaching reincarnation. I’ve reflected on this idea often since my friend Peter Grilli made me aware of Takemitsu’s last thoughts. As you know, I’ve been traveling up Highway 1 from Santa Barbara to Big Sur for an important meeting about the next LA International New Music Festival. Jan and I have been talking about Elliott Carter with his friend Virgil Blackwell near Pt. 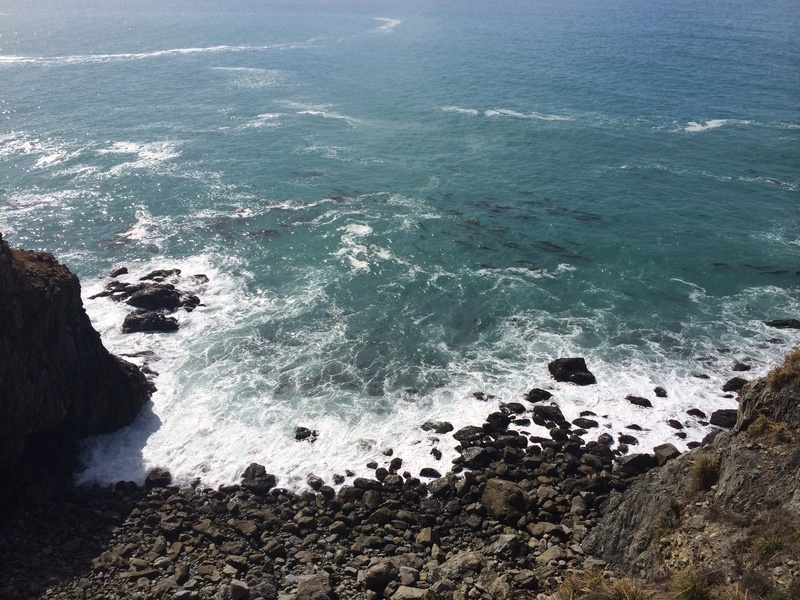 Lobos and Big Sur. Composing brilliantly until 103, Carter is one of the greats. There is a sage wisdom in all the late works waiting to be explored. And we will be doing just that as part of future festivals. Finding Carter in Big Sur and Pt. Lobos felt just right.